The Samsung Galaxy Tab is a line of upper mid-range Android-based tablet computers produced by Samsung. Big screen with HD screen resolution that makes the display to be brighter. So Samsung Galaxy Tablets are good choice for movie buffs to watch videos. As advanced mobile devices, Samsung Galaxy Tab can support almost popular video formats like WMV9, WMV7, WMV8, H.264, MPEG4, DivX, H.263, VP8, etc. However, you may find your Galaxy Tab can't play iTunes videos in M4V format, even with some popular iOS devices like iPhones, iPod, iPad, etc. Samsung Galaxy Tab still can't be played well. 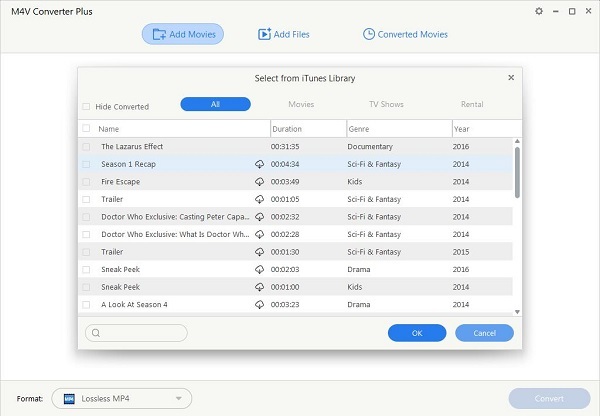 iTunes movies / TV shows / music videos purchased or rented from iTunes Store are protected by DRM protection to prevent users playing in non-Apple devices like Samsung Galaxy Tab. So If you want to put iTunes videos and play them on Samsung Galaxy Tab, you need to remove DRM from iTunes media and convert them to Galaxy Tab friendly format like MPEG4. In this case, a suitable iTunes to Samsung Galaxy Tab Converter is needed. M4V Converter Plus for Win is an ideal DRM removal tool and iTunes converter for Samsung Galaxy Tab. Besides Galaxy Tab, it can also support a lot of presets for iPod, iPad, iPhone, Sony PSP, Sony PS3, Apple TV, Gphone, Walkman, Blackberry, iRiver, Creative Zen, Xbox 360 and so on. With the clear and simple user-interface, you can use M4V Converter Plus for Win to convert your DRM protected iTunes M4V videos to Samsung Galaxy Tab quickly with high conversion quality. Download, install and run the iTunes to Samsung Galaxy Tab Converter - M4V Converter Plus for Win, click "Add Movies" to import your iTunes video files. 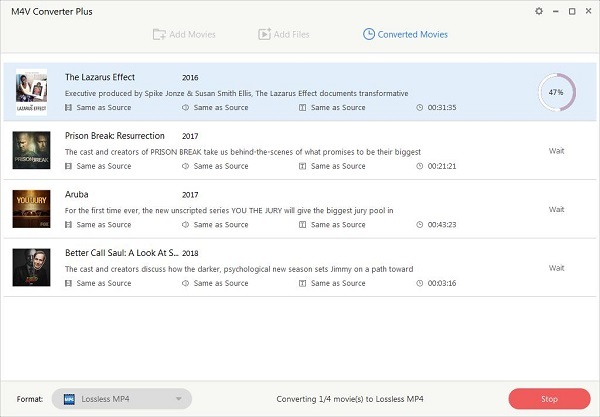 Batch conversion is supported so that you can add multiple files for conversion at one time. 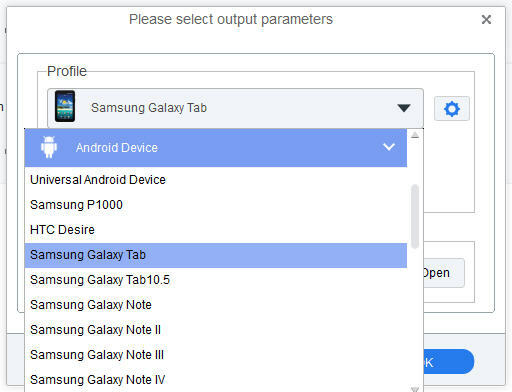 Click "Profile" format list, choose "Android Device" option and find "Samsung Galaxy Tab". 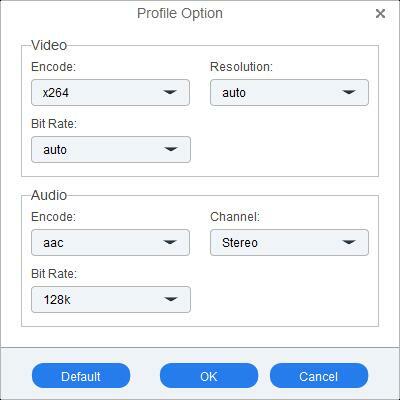 If you have some special need and can't find the right one, you can easily set bitrate, codec, sample rate etc to adjust parameters that affect video quality and file size for the video you prefer to. After everything is done, click the big Profile blue area button to start converting M4V files to Samsung Galaxy Tab.